Are You A Christian Couple Searching For Guidance And Healing After An Affair? Do you feel hurt and overwhelmed after an infidelity in your marriage? Perhaps you discovered that your spouse was having an affair, and now you’re swinging between feelings of shock, anger and deep sadness. Or, maybe you have been unfaithful to your partner, leading to immense guilt and shame. Do you wish you and your spouse could find a way to work through this pain and move forward, all while honoring your Christian values? As you try to cope with this pain, you might feel ambivalent about the future of your relationship. Sometimes, you want your spouse to be close; at other times, you want nothing to do with him or her. Perhaps it seems that you’re both caught in a tornado of emotions, and you wonder if you’ll ever share love and peace again. As a Christian couple, you might also be struggling with issues related to your faith and faith community. Maybe you don’t know where to turn for guidance, as you fear judgment and condemnation from members of your church. You might also be harshly judging yourself—have be told throughout your life, that affairs aren’t supposed to happen to good Christians- so, you ask your self, how did this happen to you? No matter how much you pray or seek the Bible’s guidance, you might not be able to find answers. Although you might feel isolated and alienated from your faith community right now, the truth is you are not alone. According to the Journal of Psychology and Christianity, up to 65 percent of men and 55 percent of women will have an extramarital affair before age 40. This statistic illustrates an essential truth: Human beings are fallible. Absolutely no one is perfect. In fact, Christianity Today found that 23 percent of pastors surveyed confessed to extramarital sexual behavior. Infidelity in your marriage does not mean that you aren’t a good Christian. As the scripture says, God does not condemn Christ’s followers. And, as fallible as humans are, they are equally worthy of forgiveness and healing. With the help of a Christian marriage therapist, you can discover new peace in your relationship and your faith. Crossroads Counseling offers a program specifically designed for Christian couples recovering from infidelity. 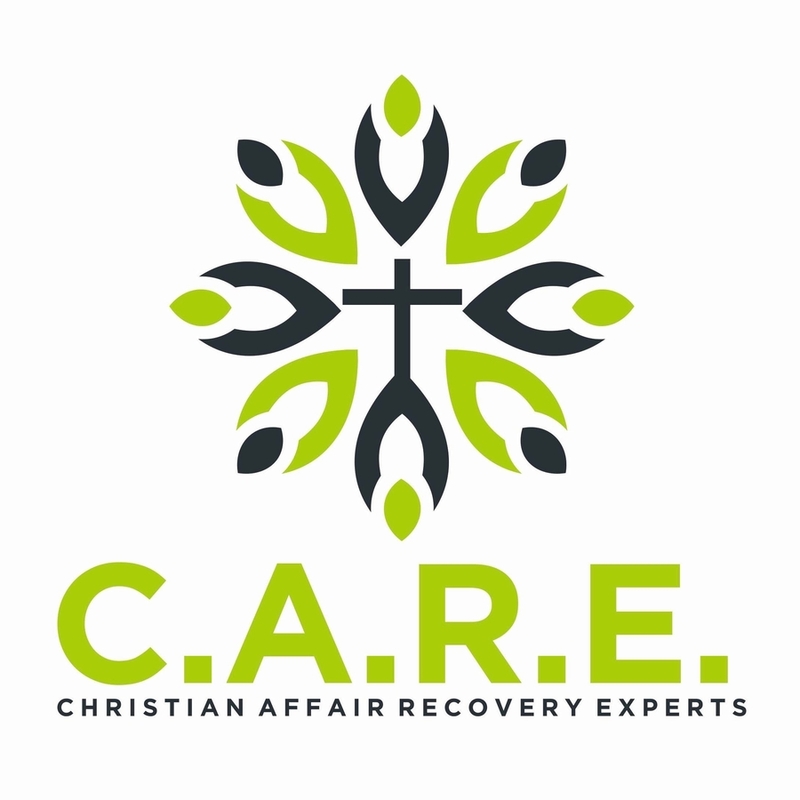 The Christian Affair Recovery Experts (C.A.R.E.) program provides a safe place, free from judgment and condemnation. Here, you and your spouse can find the immediate and ongoing support you need to heal from the pain of infidelity. The C.A.R.E. plan includes four Christian marriage intensives, placed on weekends spread throughout the year. Infidelity can create a moment of crisis that requires immediate, dedicated attention. You can think of our C.A.R.E. intensives like an emergency room. We are here to address the trauma of infidelity, stop the bleeding and restore a sense of stability. During these intensives, you and your spouse will come together with other Christian couples who have also been through an affair. Led by an experienced marriage counselor, these group intensives can show you that you are not alone. There is support and, in a community of faith, you can find the help and resources you need to move forward. Then, once we have addressed the crisis, we will work to identify this relationship wound’s root cause. For example, perhaps you and your spouse have felt disconnected for a long time, even before the infidelity. Whatever the case might be, your therapist can help you devise a plan utilizing the resources and support options we have available. Option One: 1 couple meets with a C.A.R.E. therapist for back-to-back 75-min sessions. Option Two: 1 couple meets with a C.A.R.E. therapist for two back-to-back 75-min sessions, breaking for lunch. Option Three: Two day intensive where 1 couple meets with a C.A.R.E. therapist for two days and two back-to-back 75-min sessions, breaking for lunch. Option Four: Up tp 5 couples participate in the C.A.R.E. weekend intensive usually starting on Thursday evening, full day on Friday, and ending on Saturday. We designed the C.A.R.E. program because we understand the specific challenges Christian couples often face after an affair. We also know that God has the power to heal what is broken. Christ’s resurrection shows us how, no matter how hopeless and bleak things may seem, God can restore life and light. There are times when we all need someone to walk beside us and remind us of God’s forgiveness. We are here to offer that open, supportive community of faith. Stage 1: Disclosure & Triage. The first part of Stage 1 is to have full disclosure of what happened. Affairs are often discovered by the wounded spouse and a process of connecting all of the dots in order to get a full understanding is normal. The involved spouse may initially lie about the affair or only provide limited information. Given all of the complexities in the process of disclosure having a trusted and competent C.A.R.E. therapist walk this path with you can help. The second part of Stage 1 is triage. The focus of triage is on assessing the level of trauma on both the wounded and involved spouse’s side that results from the infidelity and determining a course of action. Most couples experience feelings of shock, grief, denial, anger, and shame. This whirlwind of emotions is often overwhelming and your C.A.R.E. therapist will help you to stop the initial bleeding and lay out a plan of action for recovery and healing. Stage 2: Clarification and Context. In most cases, affairs just do not happen. There are reasons as to why someone chooses to step out of the marriage. The reasons often have both an individual and relational component. The goal of this stage is to help the couple and each person come to a comprehensive understanding of both themselves, the relationship, and each other. Understanding the “why” of the affair not only helps in the healing process but also serves as a way of safeguarding the marriage from future breeches. Stage 3: Healing & Bonding. The goal here is to help the couple heal from the trauma of the affair. Conversations surrounding forgiveness and the rebuilding of T.R.U.S.T. are key in helping both the wounded spouse and the involved spouse experience true healing. The wounded spouse will often need to know, feel, and sense that the involved spouse truly understands the pain the affair has caused and is experiencing what the Bible refers to as “Godly sorrow” (2 Cor. 7:10). The involved spouse who can be full of shame and guilt needs forgiveness which is essential in the process of reconciliation. Secondly, the goal here is to strengthen the marriage bond by learning new skills of how to vulnerably connect to one another through the process of sharing your deepest emotions and needs. Having bonding conversations help to facilitate the healing process and to rebuild trust. Stage 4: Safeguarding & Moving Forward. When Christ went to the cross all looked hopeless and bleak. Then the Resurrection happened! Hope was restored. The focus of stage four is on creating a marriage built on trust, vulnerability, and intimacy. As individuals and as a couple we want you to move forward with a renewed sense of hope and with new tools that will help you and your spouse continue to heal and flourish. Having new tools and ways of relating and engaging with one another will help to safeguard your marriage from future breeches of trust. Finally, the goal is to help you move forward in creating the marriage you want; to not have the infidelity define you or your marriage but rather to have it refine you and your marriage. I already feel so ashamed. I don’t want any more judgment. At Crossroads, we strongly believe in forgiveness and hope. There is always the possibility of reconciliation. And, as the Bible says, God has yet to deny a broken heart. Here, you’ll find a safe space and community of likeminded people to help you process this grief and confusion. Countless Christians share your experience. They can also share in your healing. The hurt is so deep. Is recovering from infidelity even possible? We completely understand how agonizing infidelity can be. It can feel like a fresh wound—perhaps you even feel physical pain. This can be true even if the affair took place months or years ago. You don’t have to continue suffering alone. If you are open to the C.A.R.E. process and willing to truly engage in the Christian marriage retreats, you and your spouse can find healing and restoration. It’s even possible to build a relationship that is more meaningful and connected than ever before. Are you just going to tell me this suffering was God’s plan? Too often, the Christian advice on affairs pushes the idea that an infidelity is all part of God’s plan—a challenge meant to bring you and your spouse closer together. We reject that line of thought. We don’t believe that God plans for affairs to happen. More importantly, we believe that God intends for you to live with hope and joy, not suffering. However, affairs do happen, and people do suffer. Through God, you can find that grace to make use of these painful circumstances. Through God, you can discover profound healing. You and your spouse can foster a level of trust and understanding you might not have believed possible. Feel free to call us at 623-680-3486 or text us at 623-313-5138. Email us at info@crossroadsfcc.com to speak with a couple’s counselor. We offer a complementary 20 minute phone consultation. We are happy to answer any questions you may have about Christian Affair Recovery Experts and Crossroads Counseling. Our North Phoenix, Biltmore, and Scottsdale Relationship Centers are conveniently located so that help is nearby. You may also email us at info@crossroadsfcc.com for more information.